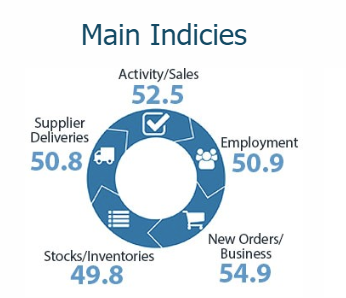 New orders/business (54.9), which is a key component to overall activity, dropped to its lowest point since September 2012. Little change for the NZD … this data pint does not tend to move the currency much upon release. Last week we got the manufacturing PMI from this group, link.